Standard open training – open to individuals, or groups of up to 3 people from one organisation, held at our offices or an external venue. 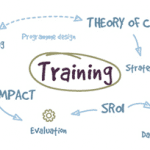 In-house training – our standard courses brought to your teams within your organisation. Usually suitable for 6 to 10 people, these can be tailored to suit particular objectives and requirements. Briefings – for senior decision makers who want to learn more about a methodology or how to improve your organisation’s social, economic or environmental impact. Delivered as group sessions, either at our offices or on-site. Bespoke training – workshops or courses developed specifically for your team or organisation, delivered at our offices or in-house. Suitable for 4 or more people. Contact us now to discuss your training needs. Use our expertise to offer training courses to your members, clients or other external audiences. Contact us to find out more. NEF Consulting works with IMA International to deliver learning programmes developed for those working within international development. Developed and delivered with IMA International, this learning programme is for managers and leaders within international development who want to understand and experience our approach to making connections reflectively, and turn this into practice. The learning takes place over a period of 8-12 months, with three face-to-face modules and linked remote work. It is an opportunity for personal growth and development as well as a way of cultivating resilience and critical thinking for dealing with rapidly complex change processes. For more details, click here. This unique 5-day programme, delivered in partnership with IMA International, provides the tools and knowledge to maximise and embed value for money (VfM) approaches in an organisation, projects and programmes. You will learn about best practice in economic theory as well as how to practically apply existing and emerging tools to capture and manage for VfM. This course is aimed at professionals responsible for the maximisation of VfM through all elements of programme and project design and delivery. It presents the latest thinking on how to guarantee that your activities deliver maximum value to your organisation and its stakeholders. Click here for details.